The modern bride wants the best of both worlds when it comes to her wedding band. 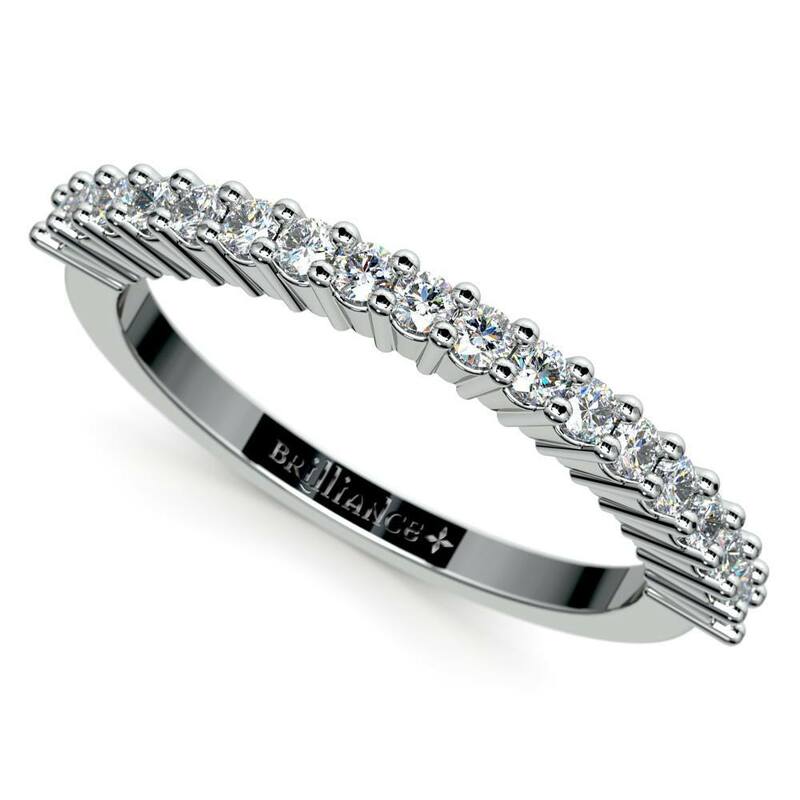 Combining beauty and strength, Brilliance came up with the stunning Shared Prong Diamond Wedding Ring in Palladium. It harmonizes strength and style with its eighteen round cut diamonds on a shared prong. The diamonds have a total approximate weight of ½ carat, and the palladium band ensures a sturdy yet comfortable fit. Who knew such gorgeousness can also be so practical?